BROOKLYN – Twenty people remain as the pool of candidates running for public advocate shrinks ahead of the special election. Several candidates became ineligible to run last week, due to filing and technical errors related to the ballot entry process. 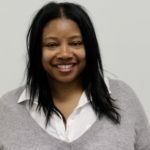 Brooklyn attorney Ifeoma Ike was disqualified for failing to submit her certificate of acceptance which was due Jan. 16. Ike explained the mishap and wrote that she wouldn’t be on the ballot late last night via Twitter. “Today I spent the day in service and with supporters. We had an unexpected setback last week but we’re moving forward,” she wrote adding a link to her full statement. Daniel S. Maio was also disqualified for failing to submit enough signatures. The registered Republican who ran on the “I like Maio” party line filed 1,080 of the required 3,750 signatures. Helal A. Sheik and Abbey S. Laurel-Smith will both be tossed off for technicalities. Sheik for failing to correctly list the election on the filing paperwork and Laurel-Smith for omitting a party name. Several candidates face objections from opponents, including Melissa Mark-Viverito, Dawn Smalls, Ron Kim, Michael Zumbluskas and A. Manny Alicandro. Queens County Chair Joann Ariola filed the objections against registered Republican Alicandro. Candidates have until Jan. 23 to specify objections. Eric Ulrich, a Queens Republican, would be the only registered Republican on the ballot if Alicandro is successfully ousted. The Board of Elections will hold a nomination hearing at its executive offices to confirm ballot order on Jan. 29. at 1:30 pm. The public advocate’s seat opened when newly-elected Attorney General Tish James took her position on Jan. 1. Mayor Bill de Blasio announced the special election on Jan. 2, leaving candidates eight weeks to prepare and run for the seat. The special election will be held on Feb. 26.